How did ‘Hamilton’ tickets get so expensive? And what does that mean for future big events? This fall, tickets to “Hamilton” at the Paramount Theatre ranged from $69 (original price) to $10,149 (resale price) — all on Ticketmaster’s online platform, which is supposed to be anti-scalper and anti-ticket bot. How did that happen? Hurricane “Hamilton” has blown its way out of Seattle, headed for points south. But it’s left questions about ticket prices in its wake. Some of the seats during its six-week run at the Paramount were listed on Ticketmaster’s official site for hundreds and thousands of dollars above their original cost — offering an example of how Ticketmaster’s pricing and its secondary market work these days, and perhaps previewing what could happen with upcoming big-name shows like Beyoncé and Jay-Z at CenturyLink Field this October. When the nonprofit Seattle Theatre Group (STG) released “Hamilton” tickets via its for-profit ticketing partner Ticketmaster on Nov. 6, it set prices at $69 to $179 (with a few “premium” seats going for $569). Those tickets sold out within a day. “Hamilton” fans looking for tickets on STG’s website were routed to Ticketmaster’s site, where “verified resale” tickets were all over the place, from $200 each to a couple of seats at a March 10 show going for $10,149 each. STG said the price for “Hamilton” tickets on Ticketmaster’s resale site averaged out at $412. How did tickets that originally went on sale in the $69-$179 range (excepting those “premium” seats) wind up costing so much, through a ticket vendor that’s supposed to be anti-scalper and anti-bot? One part of the equation seems simple: supply and demand. If you buy a ticket to “Hamilton” for $100, from Ticketmaster, you can turn around and sell it on Ticketmaster’s “verified,” “fan-to-fan” resale marketplace for whatever price you like — $200, $2,000, $20,000 — then bump the price up or down depending on how the market is fluctuating. Ticketmaster promises that its resale tickets are genuine. The other part of the equation is less obvious: the fees that Ticketmaster charges at each step of the process, from the initial purchase to the final resale, which can influence how much the resellers are charging. During the Seattle run of “Hamilton,” STG spokesperson Julie Furlong said, Ticketmaster levied an 18 percent fee for the initial buyer, a 14 percent fee if that buyer decided to sell the tickets, then a 16-to-19 percent fee for the next buyer and so on, until the ticket reached its final owner. Neither Ticketmaster, nor TicketsNow — which helps run Ticketmaster’s online, secondary-market platform — responded to requests for comment about their resale process. Josh LaBelle, STG’s executive director, said the nonprofit partnered with Ticketmaster “largely because of their commitment to thwarting the bots,” and to protect fans from buying forged tickets on sites like Craigslist. As Ticketmaster describes the “verified fan” program on its website: “We built a really big robot to protect fans from the thousands of little scalper bots trying to scoop up the tickets.” For customers, the process involves registering with Ticketmaster, then waiting for an access code allowing them to buy tickets. In contrast, during the entire six-week run of “Hamilton,” STG reported a total of 20 fraudulent tickets. LaBelle said Ticketmaster’s secondary, “verified resale” market isn’t ideal, but it’s better than outright fraud. The soaring secondary-market prices on Ticketmaster’s own site reveals that “there are two parallel stories in terms of what Ticketmaster is trying to accomplish,” Budnick said. And Ticketmaster, which merged with entertainment behemoth Live Nation in 2010, wants people to trust its “verified resale” secondary market, pushing out the kinds of grifters who, for example, advertise forged tickets on Craigslist to sell for cash in a parking lot. 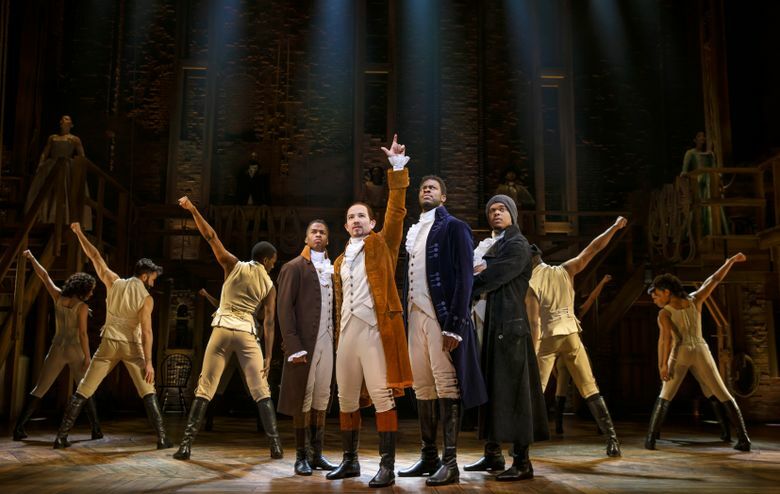 (During Seattle’s “Hamilton” run, police arrested two men for allegedly peddling fake tickets forged on real ticket stock police say might’ve been stolen during a burglary at STG’s Neptune Theatre.) If you buy a resold Beyoncé/Jay-Z ticket on Ticketmaster’s secondary market, Ticketmaster promises it’s real — even if you paid $2,000 more than its original, face-value price. On the other hand, the “verified resale” platform that Ticketmaster built allows the company to reward itself with fees while other people do the work of moving tickets around.